Knowing how Twitter works can help you make it work for you -and help you find a job, too. 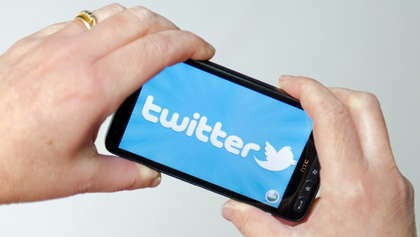 Despite its 140-character maximum tweet length, Twitter can be a limitless resource for job seekers. Unlike other social media platforms, Twitter is an amazing way to connect with companies, brands, and potential bosses in real time. Here are three ways in which you can use Twitter to maximize your job search. Follow companies that you’re interested in. How can you get a company that you’re interested in working for to notice you? By following them on Twitter. When they ask questions, you can answer them (to the best of your ability, of course). You can also pose questions to the organizations as well. By following organizations, you might be able to find ajob faster, since many companies tweet their job listings. In all of your years as a working professional, you’ve amassed some serious knowledge. But no one will know that if you don’t share your knowledge. So actively participate in Twitter chats and conversations. Create your own content, or better yet, you can even start your own tweetchat and its own unique hashtag to get the conversation going. By providing information, you’ll not only attract more followers, but you’ll also be able to impress potential bosses, too. You know the expression, “It’s not what you know, but who you know"? Well, that holds true in job searching, but in a different way. Let’s say that you have over 2,000 followers on Twitter. Like you, they are mostly professionals with a passion for what you are interested in, too. If a potential boss were to hire you, he would, in theory, be gaining your followers as well. So it’s crucial to make sure that you have quality people following you on Twitter, because they can be perceived as a representation of you as a professional. Since those followers could potentially make you more (or less) attractive to a new boss, it’s a good idea to go through your followers list every now and then and clean it up to make it (and you) as desirable to a prospective company as possible. As you’ll find, each social media channel has its own unique way for job seekers to find a flexible job. Knowing how Twitter works can help you make it work for you—and help you find a job, too.